We all know her…she works a full time job, gets two or three kids up in the morning for school, prepares breakfast, lunch & dinner, drives to and from school events and the list goes on and on – her name is “mom”. Let’s take care of this special woman in your life by pampering her on her special day. 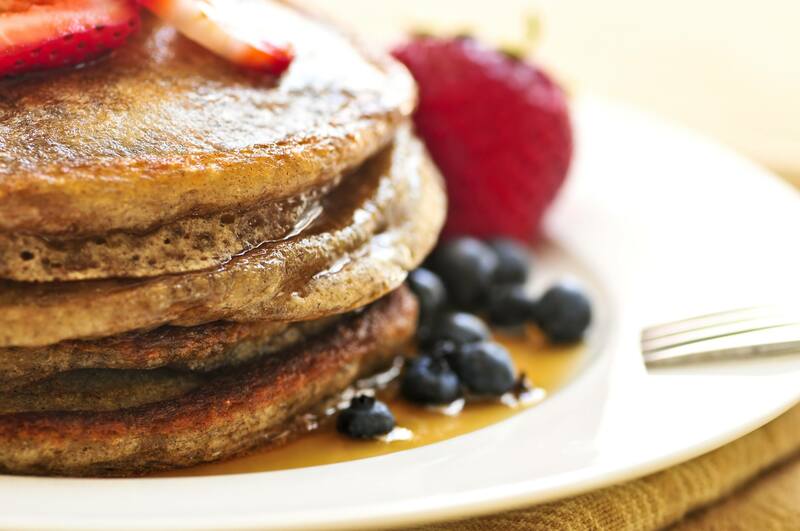 Breakfast in Bed – recipe below for a mouth-watering Blueberry Pancakes. No time for breakfast? Dinner will work great too – roasted chicken with vegetables, pasta primavera or baked fish are easy and delicious choices. Take care of her chores for the day. Give her some much-needed quiet time. Spa experience, send her to her favorite spa for a massage, manicure and/or pedicure. Flowers – don’t go empty handed! Stop in one of our stores for a beautiful arrangement. Homemade gifts such as beaded bracelets, pottery or a painting are gifts the kids can have fun making for mom. Sift together flour and baking powder, set aside. Beat together the egg, milk, salt and honey in a bowl. Stir in flour until just moistened, add blueberries, and stir to incorporate.